Icy beauty that’s truly fit for a Royal! 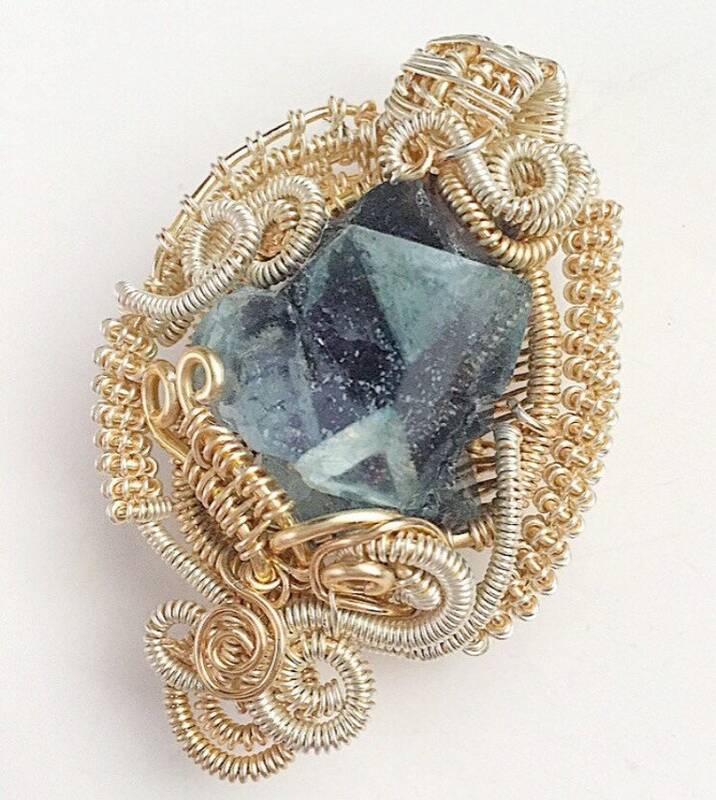 This silver & gold pendant started with a gorgeous Fluorite crystal. It’s a purple-blue phantom cluster in matrix from Chengzhou, Hunan, China. The detailed wrapping is in an unusual combination of sterling silver filled and gold plated wire, and is 2 1/4” long by 1 1/2” wide. The pendant ships with a 20” sterling silver chain ( other lengths available, please convo me for a complete list).